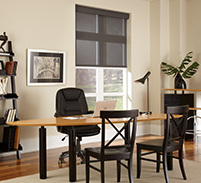 Make work time more enjoyable and productive and your home office more efficient with control of your lights and shades. Easily dim overhead lights for any task. Control natural light to reduce glare on your computer screen by adjusting the height of your window shades at the touch of a button. Make a smooth transition from day to evening. With automated system control or a hand held wireless remote, turning on the lights when the sun goes down is effortless. Make the heart of your home more versatile. With the use of dimmers or a total control system, you can make your kitchen a flexible space for cooking, dining, entertaining, or even doing homework. Set the perfect light level for any activity and control daylight with automated shades. Add temperature control to maximize comfort. 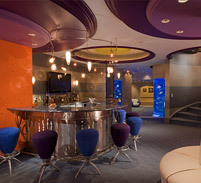 Basements are put to various uses; whether it's a playroom, a home theater, a storage area, an entertainment space, or some combination, light control can make a difference. With little to no daylight reaching these spaces, dimmers can help set the right light level and occupancy sensors can give the added benefit of ensuring lights are turned off automatically when the room is unoccupied. Engage your children in saving energy. Installing a dimmer in a child’s room saves energy and extends bulb life. 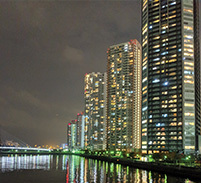 Combining the dimmer with an occupancy or vacancy sensor increases the energy savings by automatically turning lights off when the room is empty. Discover sophisticated, stylish control for your lifestyle. Whether you’re interested in the latest technology or the ultimate in elegance, there’s a Lutron control to fit your taste. With intuitive function, clean lines, and the latest color and finish offerings, the possibilities are endlessly attractive. Spaces not used everyday are often forgotten. With an occupancy or vacancy sensor you can be assured that lights will turn off automatically, saving energy. 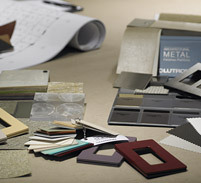 Personalize your new space with the latest in style, color, and functionality. Enhance your rooms with innovative lighting controls that meet the needs of each space. Make your home unique by controlling your lights with sleek keypads and accessories, and automated shades and drapes that coordinate with your décor. 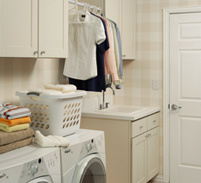 Add temperature control to your system to save energy while making your space more comfortable. Easily add function and ambiance to any room by replacing existing switches with dimmers to update any room throughout your home, adding style, convenience and energy savings. Increase your comfort level and save additional energy by adding temperature control to your system. 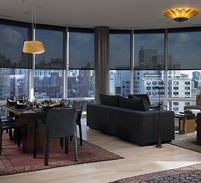 Lutron single-room solutions allow you to effortlessly adjust your lighting and save energy. Our switches, wallplates, phone, and cable jacks come in a variety of coordinating colors to match your décor. 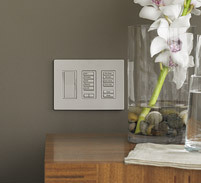 Make the most of an open floor plan or master suite with Lutron wireless controls. Create a safe and secure pathway from your kitchen to family room, or transform your master bed and bath into a relaxing retreat. 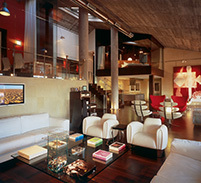 Multi-room control can make your space more intuitive and personalized to your lifestyle. Control the lights, shades and temperature throughout your entire home. 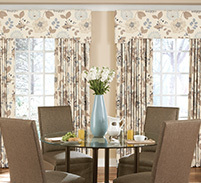 With the simple touch of a button, you can automatically raise and lower shades to add privacy, protect furnishing, and adjust the temperature in a space. Adjust the lights in your whole home using a hand-held remote, wall-mounted keypad, or tabletop control. Control temperature control from keypads, mobile devices and the timeclock. Seamlessly integrate with other whole home systems such as A/V and security for a complete solution. HomeWorks A HomeWorks system provides convenient, intelligent and sophisticated control of your home's interior and exterior lighting.